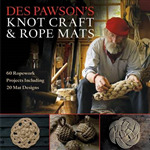 A treasure trove of ropework projects: from key fobs, fenders, and doorstops to mats, bellropes, and belts. Explore the fabulous world of micro macrame with this collection of 25 jewellery projects to make. 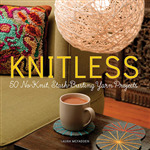 Cute no-knit projects for beginner-level crafters who love yarn! Essential rope-and-string tying advice for the nerdily inclined. Includes two lengths of rope to help you practice tying knots.